Please call our normal surgery number, if closed you will be given the contact number for our on call vet. 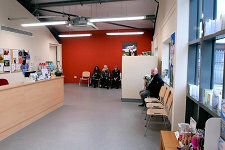 If needed, you will be seen by OUR vets at OUR surgery. To make a general appointment with a vet from Hope Veterinary Surgery, please call our surgery number during the opening times listed to the left. Hello everybody and welcome to Hope Vets. Many of you will have met me over the years but for those who haven't let me tell you a little about myself. I've always been passionate about animals, for as long as I can remember. The childhood dream of wanting to be a vet never faded and was fuelled by family pets, horse riding holidays and working at our local vets when at school. Competition for vet school meant a short detour via a biology degree but the old family adage of "if you want something badly enough you will do it" lead to my most valued possession - a veterinary degree from Glasgow Vet School in 1995. My 1st 3 years were spent learning to apply all that theory in the real world with a mixture of cats, dogs, horses, sheep, cows - including one cow that arrived in the back of a small van one Sunday and a 4ft iguana in a children's toy box! After a while it became clear my heart was in small animal work and I really felt I could make a difference. I always try to treat my patients as if they were my own and gradually realised that I wanted to start my own practice with this ethos at its heart. After much hard work and a frightening financial leap of faith Hope Vets was born in 2009. With wonderful support from our clients we have grown quickly but always strive to make personal and compassionate care our main goal. My other strong desire has been to continue to support many of our local and national pet charities. Although this can be distressing in some of the cruelty cases it is immensely satisfying to make a difference. From just me as the only vet in 2009, to 6 vets and a great nursing/reception team that is still growing in 2013... 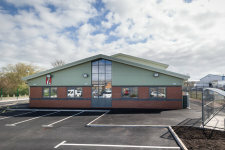 Welcome to Hope Veterinary Surgery. Welcome to "the vets who care". 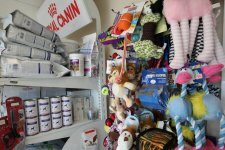 Established in 2009, Hope Veterinary Clinic houses 6 vets and we pride ourselves on being passionate about animals. We always strive to make personal and compassionate care our main goal, and each and every one of us treats our patients as if they were our own. 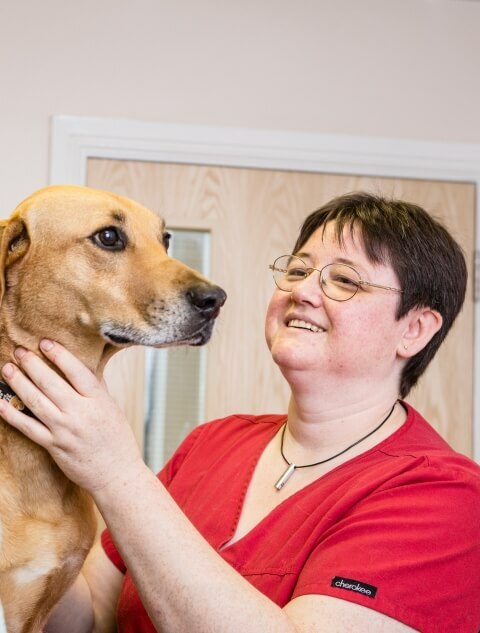 from "The vets who care"
"Deborah and the team at Hope Veterinary Surgery are truly amazing, we wouldn't take Tigger anywhere else." "Thanks to Deborah, we now have Neo as a loving and caring companion. Originally a rescue dog he now has a great new home with us."